Juries have a bad reputation. Often jurors are seen as incompetent, biased and unpredictable, and jury trials are seen as a waste of time and money. In fact, so few criminal and civil cases reach a jury today that trial by jury is on the verge of extinction. Juries are being replaced by mediators, arbitrators and private judges. The wise trial of “Twelve Angry Men” has become a fiction. As a result, a foundation of American democracy is about to vanish. The Jury Crisis: What’s Wrong with Jury Trials and How We Can Save Them addresses the near collapse of the jury trial in America – its causes, consequences, and cures. Drury Sherrod brings his unique perspective as a social psychologist who became a jury consultant to the reader, applying psychological research to real world trials and explaining why juries have become dysfunctional. While this collapse of the jury can be traced to multiple causes, including poor public education, the absence of peers and community standards in a class-stratified, racially divided society, and people’s reluctance to serve on a jury, the focus of this book is on the conduct of trials themselves, from jury selection to evidence presentation to jury deliberations. Judges and lawyers believe – wrongly – that jurors can put aside their biases, sit quietly through hours, days or weeks of conflicting testimony, and not make up their minds until they have heard all the evidence. Unfortunately, the human brain doesn’t work that way. A great deal of psychological research on jurors and other decision-makers shows that our brains intuitively leap to story-telling before we rationally analyze “facts,” or evidence. Weaving details into a narrative is how we make sense of the world, and it’s very hard to suppress this tendency. Consequently, a majority of jurors actually make up their minds before they have heard much of the evidence. Judges, arbitrators and mediators have similar biases. Drury Sherrod, PhD, is the co-founder of Mattson & Sherrod, Inc., a jury research firm specializing in trial strategy and jury selection for high-damage civil defense trials, many involving Fortune 500 companies. Sherrod is a member of the American Society of Trial Consultants, the American Psychological Association, and the Society for Experimental Social Psychology. Along with authoring Social Psychology (1982), he has authored more than thirty articles on psychology, jury behavior, attribution theory and the effects of environmental stress on human behavior. He has, also, written hundreds of narrative-style opening statements for jury trials, which were adopted by attorneys and presented to actual trial jurors. Sherrod has given many talks on jury trials and juries in America to a variety of audiences, including college classes, law firms, bar associations, legal conferences, professional associations and groups interested in law and the social sciences, and has also presented research findings to hundreds of attorneys in law firms across the United States. You an visit his website at https://www.thejurycrisis.com/. Introduction: What’s Wrong with Juries? Chapter 13 Junk the Jury or Fix the Flaws? The Jury Crisis clearly and concisely describes the various procedures used in the U.S. to resolve legal disputes in the U.S.—jury trials, judge trials, rulings by judges without trial, arbitrations, mediations, settlements. Dr. Sherrod uses his training and experience as a psychologist and jury researcher, supported by a broad array of empirical studies performed by himself and other scientists and legal experts, to show how and why juries and judges decide cases as they actually do, rather than how they are commonly thought to decide them. Most importantly, he presents powerful arguments for preserving jury trials by making much-needed improvements in the way trials are conducted. Sherrod has written a fascinating book about the U.S jury system. 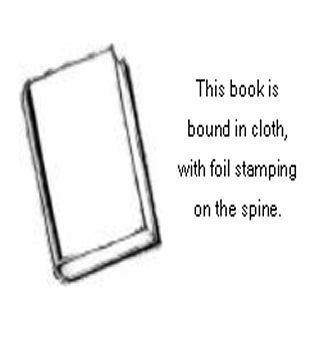 It is a quick read which will be understandable to a broad audience. It starts with the fascinating history of the jury and describes the changes the jury system has endured through the years. It ultimately asks an important and timely question: Are juries relevant and useful in today's world? The book offers ways to fix the current jury system and describes alternatives including trials decided by judges. Its lively anecdotes and accounts of real trials will keep readers turning every last page. This book is a gift to the serious trial lawyer. It is easy to read this clear-eyed prose that imparts important, documented information about how juries decide. I am recommending it as required reading for my colleagues, whether they be experienced or novice trial lawyers. Over his distinguished career in jury research, Dru Sherrod has advised hundreds of lawyers how best to shape and present their case arguments. In this book, Dru educates the reader about the challenges jury trials face today and offers concrete recommendations about saving this critical institution. After years of counselling lawyers on storytelling, Dru demonstrates his own special storytelling for the reader. A fascinating and unique read. Psychologist Drury Sherrod draws upon several decades of experience as a litigation consultant in a wide range of civil and criminal cases and his knowledge of social scientific research to offer a rich set of insights into the weaknesses (and strengths) of jury (and judge!) decision-making. The volume is rich in history and noted cases but especially valuable are the never-before-seen analyses and insights drawn from Sherrod's hundreds of consulting cases. This is essential reading for practitioners who argue before judges and juries and want to know how to maximize the effects of their arguments; for researchers who will delight in a view of the jury from a fellow scientist who is also "insider" in the often-cloaked world of litigation consulting; and for policymakers who will be especially interested in Sherrod's many suggestions for how the jury system can be improved. 3/26/19: Author interviewed by Wisconsin Public Radio : "The Challenged Facing the Institution of Trial by Jury"
4/2: Author interviewed by KFAX-AM “LifeLine with Craig Roberts" on the topic, "Is Feudalism Our Future?" 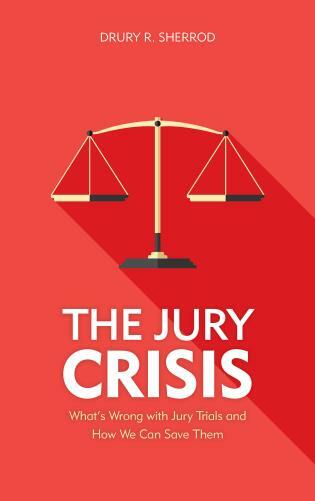 The Jury Crisis deals with an important social problem, namely the near collapse of a thousand year old institution, and proposes how to fix the jury system and restore trial by jury to a more prominent place in American society.